Chalet Alpenland is an attractive, modern Tyrolean chalet. The chalet boasts a spacious living area with Satellite TV, a separate light and airy dining area. The bedrooms are all a good size and are comfortably furnished, some have balconies with fantastic views over the valley. 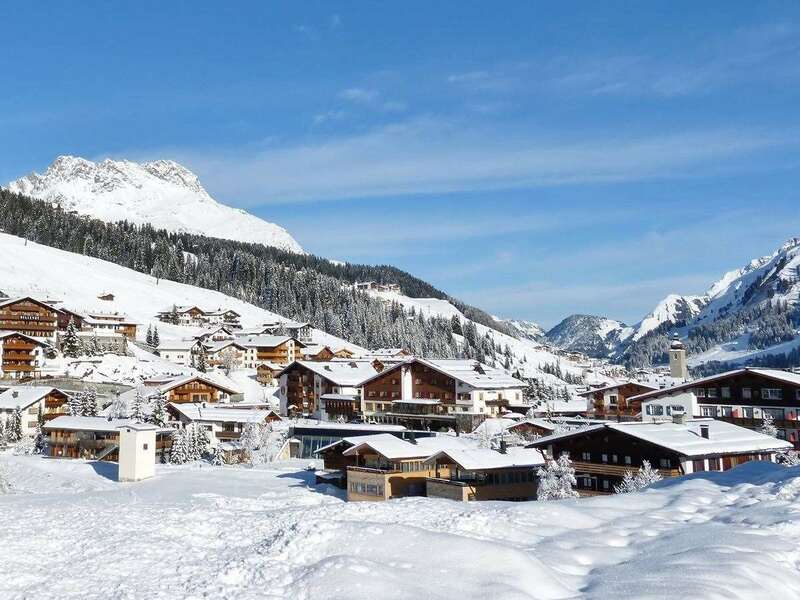 Chalet Alpenland enjoys a stunning, ski-in/out location in the pretty, rural hamlet of Zug, on the outskirts of Lech, which is home to a small selection of bars and restaurants including the renowned Rote Wand. The chalet is next to the Zugerbahn chairlift, giving direct access to the magnificent Lech ski area. Intermediate/advanced skiers can enjoy skiing quite literally back to the chalet door whilst beginners need simply to take the regular free ski bus into Lech for their lessons, which takes five minutes (approx). The service currently runs until 3am (small charge in the evening) so that you can enjoy the atmosphere, tradition and sheer decadence of Lech town itself. Snow boots and easy to carry bags are needed for arrival as the steep access to the chalet can be very snowy. The nearest ski hire shop is 5 minutes (approx) away, and it runs a pick up and delivery service for your convenience. The Alpenland is in an amazing location in the hamlet of Zug, with stunning views of the valley and mountains. You can ski out using the 2 man lift but skiing back wasn&#39;t always possible as the run back was shut on some of the hotter afternoons (avalanche risk in the valley it runs down). The bedrooms were huge and the separation of the lounge and dining room was good for peaceful suppers for the parents. Some of our group felt that there could have been more comfortable chairs in the lounge, but other than that there was no dissent! There isn&#39;t much to do in Zug but the super-reliable buses (or a pleasant walk) get you to Lech in minutes and its bars, shops, supermarket etc.